Wonder Woman Plans Oscar Campaign, Can It Win Best Picture? Wonder Woman is going to go down as the biggest success of the summer movie season. 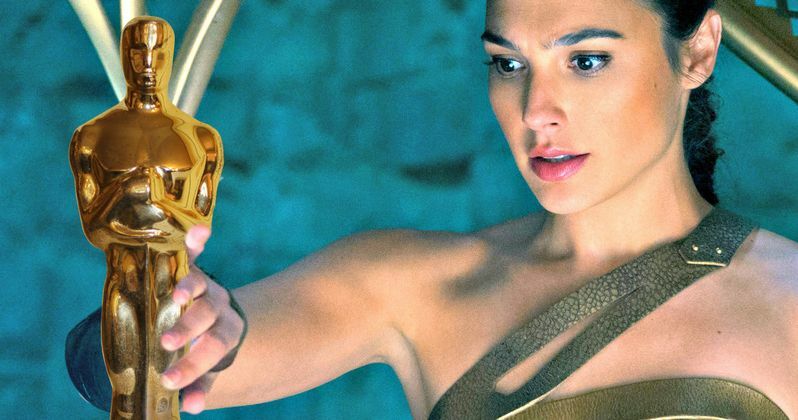 A couple of other movies made a little bit more money worldwide, but looking at the entire picture, Warner Bros. hit the biggest home run with Wonder Woman. And they aren't going to stop there. It looks like the studio feels as though the movie deserves some recognition during awards season as well and they are going to spend big to try and ensure that the movie gets some superhero Oscars love. According to a recent report from Variety, Warner Bros. is planning a massive campaign and is going to spend money in order to get Wonder Woman nominated for Best Picture and to get director Patty Jenkins nominated for her work directing the movie. For a lot of superhero movies, this might sound like a fool's errand, but in the case of Wonder Woman, this may wind up being money well spent. Wonder Woman is both a critical and financial success in a big way. The movie has grossed $781.8 million worldwide, which makes it the fourth highest-grossing movie of 2017 worldwide and the second highest-grossing movie domestically, trailing only Beauty and the Beast. It also boasts a very impressive 92 percent approval rating on Rotten Tomatoes. Not to mention that it managed to break some serious ground by being the first female-led superhero movie of the modern era that also happens to be directed by a woman. Looking at it laid out like that, Wonder Woman could have a serious shot at some superhero Academy Awards recognition. If Warner Bros. can pull this off, it will be huge for a few reasons. For one, no superhero movie has ever been nominated for Best Picture at the Oscars. Not even The Dark Knight managed to pull that off, even though that is considered one of the bigger snubs in recent history. Wonder Woman would be breaking serious ground if it scores a nomination. As for Patty Jenkins, only one woman has ever won for Best Director at the Academy Awards, which was Kathryn Bigelow for The Hurt Locker. So even scoring a nomination in that category at all as a woman, let alone for a superhero movie, would be huge. This year we could also see Fox pitching a similar campaign for Logan, which also has some serious awards season potential. Though, the odds of two superhero movies getting Best Picture nominations are slim to none, so that could get interesting. It seems a little more likely that Patrick Stewart could score a Best Supporting Actor nomination for his work as Professor X in the movie, which wouldn't get in the way of what Warner Bros is trying to do with Wonder Woman. The fact of the matter is, Warner Bros. is going to have to shell out a lot of money to try and make this happen. They have to pay for the stars and creative team to travel all over, print watermarked DVDs for Academy members, hold special screenings and advertise to get Wonder Woman nominated. Granted, if they can make it happen, it will be money well spent.